Looking for a unique bachelorette party idea? Perhaps you are looking for a bachelorette party experience that involves a lot of adrenaline and some good old fashioned, outdoor fun. 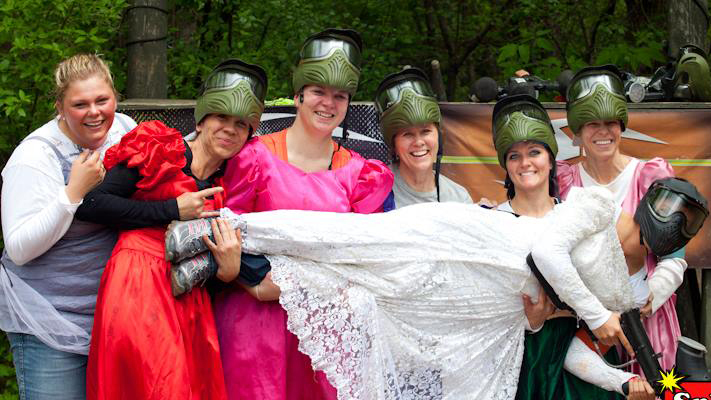 For the ladies that like to live on the edge and celebrate with a little adventure, a bachelorette private paintball event is a great choice! With 10 or more players, your bride gets in for free!